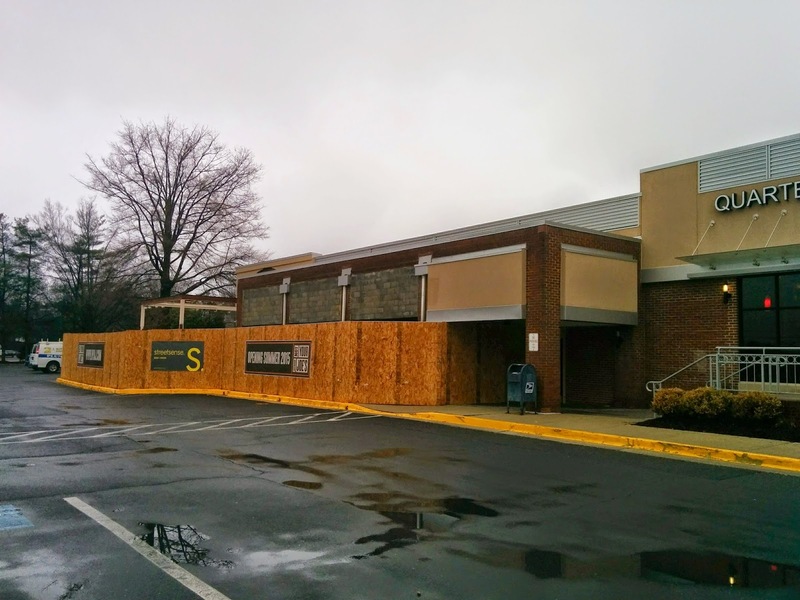 The Hamburger Hamlet restaurant at Georgetown Square on the corner of Old Georgetown Road and Democracy Boulevard in Bethesda has been vacant for a while. 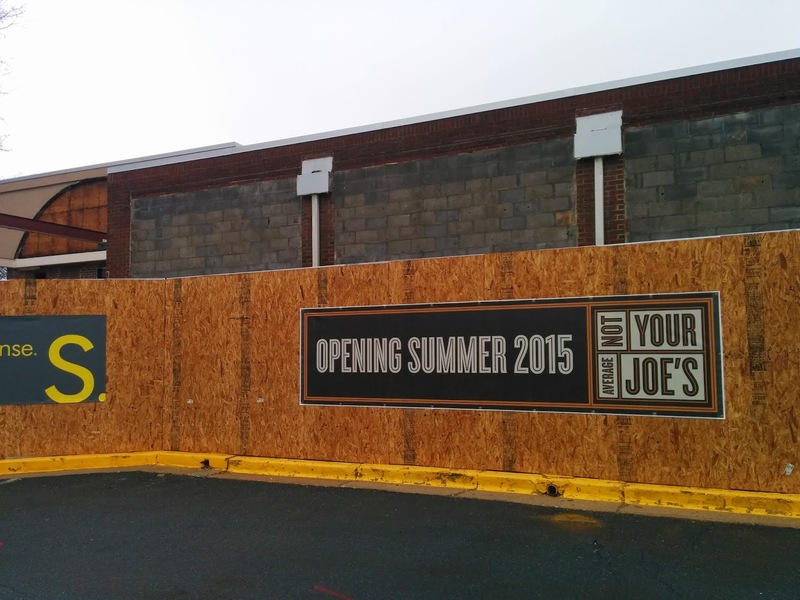 Recently there has been a flurry of activity there, preparing for the new tenant, Not Your Average Joe's, which will be opening this summer. The atrium area in the front, which was the bar is totally gone, so clearly, the new restaurant will look a a lot different. This will be the second Maryland location for the restaurant chain.